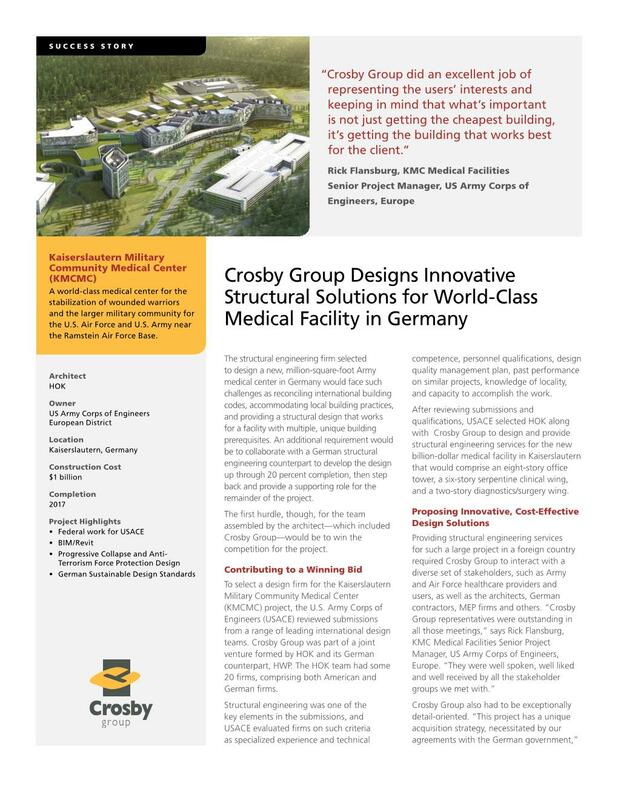 Crosby Group provided structural engineering design for a new 1,000,000 square foot Medical Center for the stabilization of wounded warriors for both the U.S. Air Force and U.S. Army, located adjacent to the Ramstein Air Force Base near Kaiserslautern, Germany. The design was developed in conjunction with a German structural engineering counterpart wherein Crosby Group led the design up through 20% design completion. The facility includes a 10-story administration tower, a 6-story serpentine clinical wing, and a 2-story diagnostics/surgery wing. 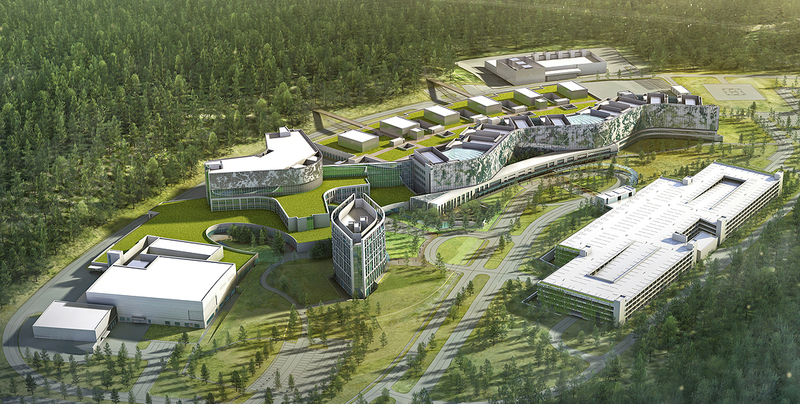 Additional structures designed as part of this facility include a bridge, parking and ambulance garages, connector structures between buildings, a central plant, and a warehouse. The structural design follows an amalgamation of codes including the UFC (Unified Facilities Criteria) Guidelines, IBC (International Building Code), and DIN – German Standards. 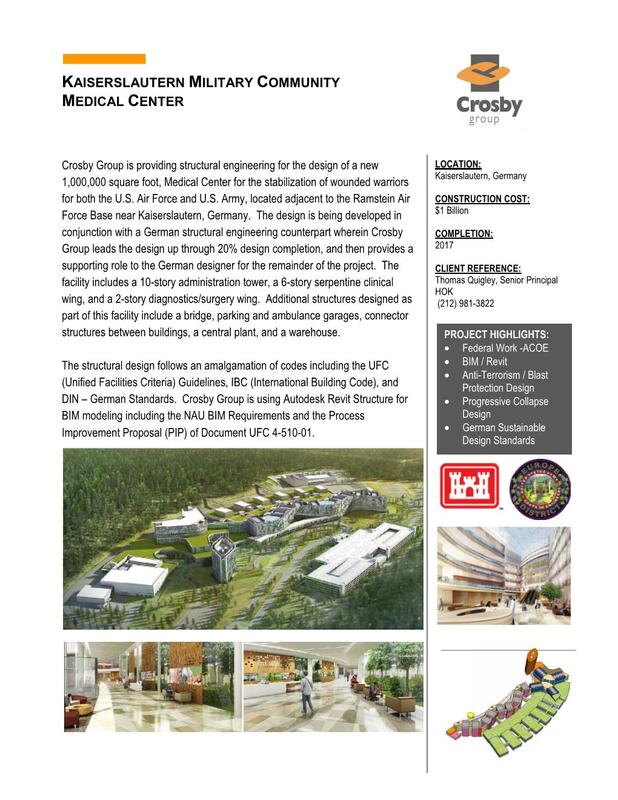 Crosby Group used Revit for BIM modeling including the NAU BIM Requirements and the Process Improvement Proposal (PIP) of Document UFC 4-510-01.